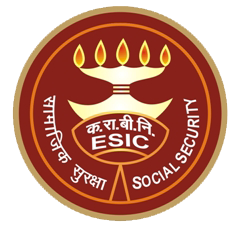 If you had applied for ESIC UDC, MTS & Steno recruitment 2016 – here is an important update.The employees state insurance corporation (ESIC) has uploaded the answer keys for the online test held in the month of March 2016.They have also opened the links for candidates to view their chosen answer & submit objections incase they find any incorrect choices done by the organization. The ESIC recruitment 2016 notification was announced in December 2015 to fill 3700 vacancies of Upper Division Clerk (UDC), Multi Tasking Staff (MTS) & Stenographer. As the positions were present in various state offices of ESIC, the online written exams were held from March 18 to 27, 2016. To provide transparency in the recruitments conducted by government departments, answer keys are published online.The same has been followed by ESIC as well. Application Summary: After logging in, your personal details, photo & signature would be displayed in this section. Now you will be able to see the entire question paper along with their correct answers. The correct answer is denoted by a green tick next to the choice number. Your answer option can be seen inside the box on the right hand side of the page along with the question ID & status. Incase you find any answer given by ESIC as wrong, you can file an objection with ESIC explaining the reason. Objection: Sometimes, the answer for certain questions in the key could be wrong.You can bring them to the notice of the officials by submitting objections. 1 objection can only be sent for 1 question ID. Click on the ‘+’ sign to create a new request for every question. Here is a screenshot of the objection form which you need to fill correctly. Since the last date to file your requests ends on May 6 at 6 PM, ESIC would examine the objections received & correct the answer keys.Then they would proceed for final evaluation. So the ESIC UDC, Clerk & MTS recruitment 2016 results shall be released after all the above procedures are completed.